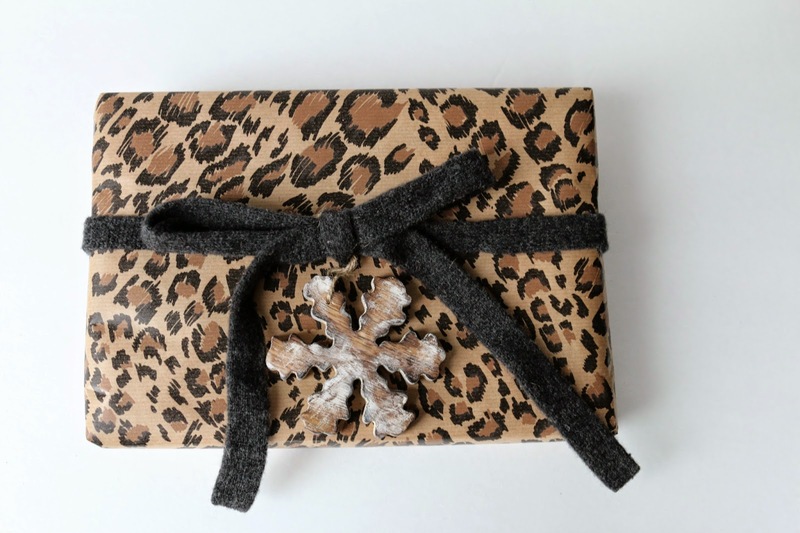 A Touch of the Unexpected: Part 3: Holiday Gift Wrapping Ideas to Inspire You! Part 3: Holiday Gift Wrapping Ideas to Inspire You! The holidays are truly around the corner. Time for some holiday gift wrapping! Have you bought all your gifts? I am all about getting everything in advance. It makes the shopping more enjoyable and allows you time to get to wrapping each gift to create a beautiful presentation. I tend to make list (sometimes I even have list of my lists!). I plan every detail out. I get started early and then I have the time to package things just how I them done. 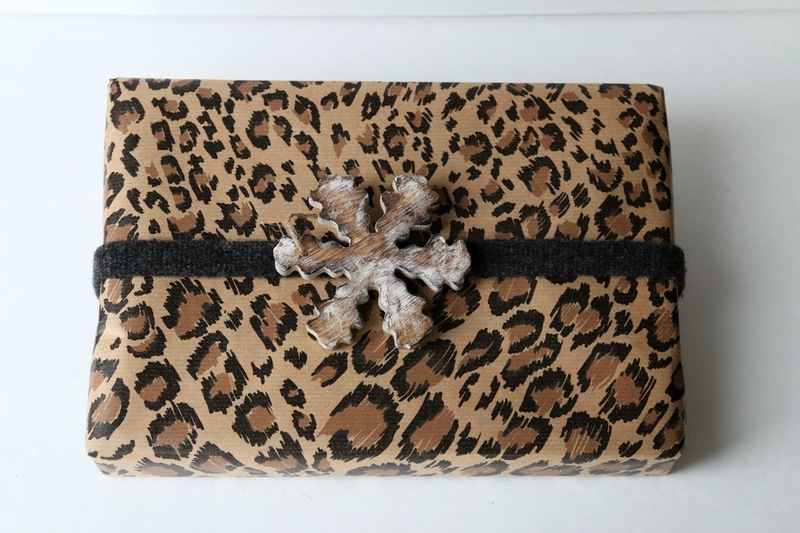 For this post, I present you with gifts wrapped in animal print paper. There's nothing holiday themed about this wrapping paper but you can accessorize it and give it some holiday flair. What I love about this is you can use paper that you already have at home. Or if you're just buying some animal print paper now, you won't be stuck with it until next year. It's so versatile. You can add ribbons and embellishments that will give it a holiday feel and create a masculine or feminine look. In these first 2 images, I wrapped the gift using a beautiful wood snowflake ornament. I love the neutral colors. No red and green here but the wintery feel is all you need. The ribbon is actually a wool belt from a sweater dress. It goes to show you can use and recycle from anywhere (even your wardrobe) to package gifts. 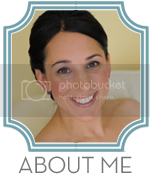 In this next image, I used a tiffany blue ribbon with a sparkly acorn ornament. Again, none of the typical holiday colors here. Just a hint of icy winter and shimmer. In this last image, I used yarn. Just some simple raspberry yarn that you knit with. I wound A LOT of it around and created a fan design. I then tied a small piece of yarn around the centre and attached the same sparkly acorn ornament that you see in the image above. The raspberry is a bit of a spin on the traditional red that we see at the holidays. Get creative, think outside of the box. You never know what you'll find in your hosue that you can use to create the perfect gift wrapping look. Check out Part 1 of this Holiday Gift Wrapping Series all about wrapping a light blue box with gold and white accents. 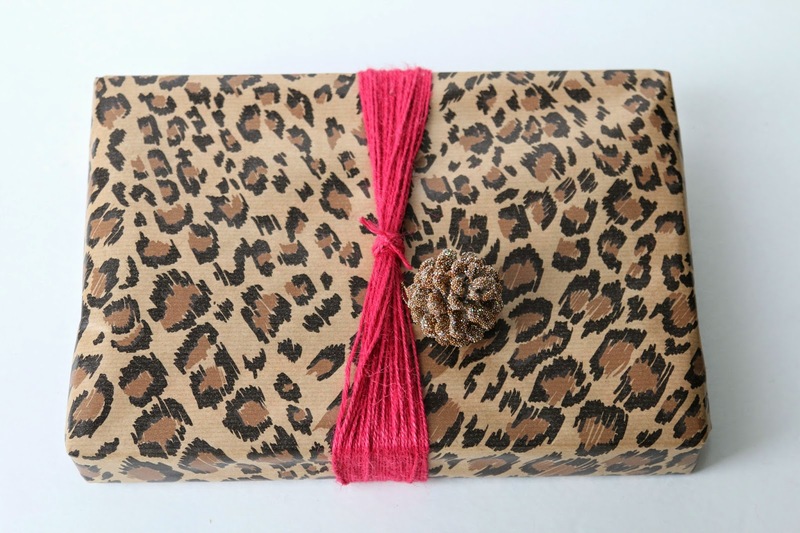 Check out Part 2 of this Holiday Gift Wrapping Series: wrapping with red and gold Ikat print paper! Check out Part 4 of this Holiday Gift Wrapping Series: wrapping with green and gold. Please bookmark my site and come back and read the rest of this series. Let me know about your holiday gift wrapping inspiration in the comments below.